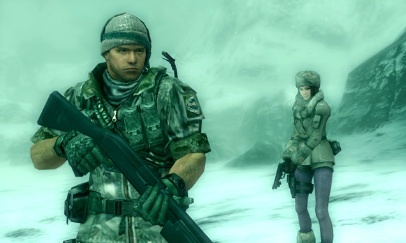 BSAA Agents, soccer players and monsters headline what should be a wonderful month. February is a short month, but there's a fine selection of games coming out, particularly for Nintendo's 3DS. 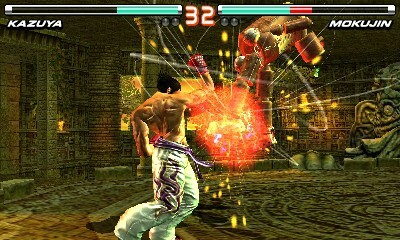 Players will take a trip on a monster filled cruise ship, take part in the King of the Iron Fist tournament and sneak through a sweltering jungle. Suffice to say, there's plenty of titles to enjoy over the next few weeks and beyond, so with that, be sure to put these games on your must play list. Nintendo struck first with a fun 3D action title that takes place in samurai Japan, as you explore a world infested with swordsmen in need of a beating. Simple controls make side-stepping and combat a breeze, while visiting towns gives you the chance to stock up on items and enjoy mini-games. 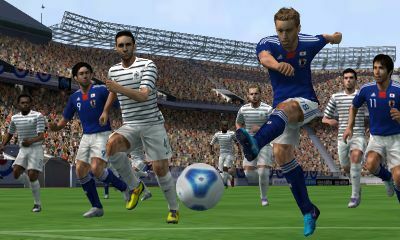 Konami made some noise last year with Pro Evolution Soccer 2011 3D, and the company's back with the 2012 entry, which debuted earlier than expected. This new title comes with multiple camera angles, League and Cup competitions, a Free Training practice mode and one of the best features of all, online play; take that, FIFA. We hope to get our hands on this game soon, so expect a review in the near future. Re-enter the world of survival horror in Capcom's gorgeous adventure, seen through the eyes of heroes Jill Valentine and Chris Redfield, along with new characters like Parker Luciani. Wander through an ocean liner full of terrors, battling creatures known as the Ooze. The intriguing story, enjoyable (and mostly traditional) Resident Evil style of play and the all-new Raid mode make this game hard to resist. 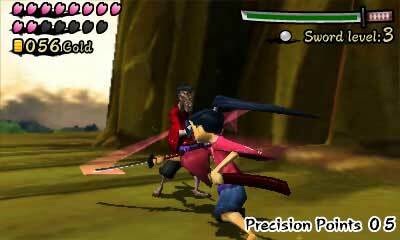 One of two PS2 games coming to 3DS in February. 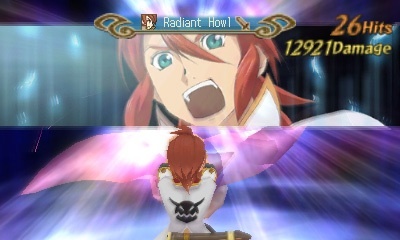 This one's an RPG from Namco Bandai with beautiful cut scenes and a deep (and perhaps confusing) story that revolves around some punk named Luke fon Fabre. Being able to experience the journey in glasses free 3D, dynamic real time battles (highlighted by the Flex Range Linear Motion Battle System) and a 40 plus hour campaign could help fill the 3DS role-playing void. Last week, Sega released the demo for the newest Mario & Sonic game, and we had fun bouncing off a trampoline, blasting targets and passing competitors on a bike. The full version comes with over 50 different events, a plethora of characters from both Mario and Sonic franchises and even online leaderboards. Better than the Wii version? A definite possibility. Nina Williams and Co. get punchy in this impressive beat-em-up that boasts a 40 plus character roster, speedy 60 frames per second play, 700 collectible cards, online brawling and as a sweet bonus, the 90-minute film, Tekken: Blood Vengeance. Watch out, Capcom. Snake? Snake? SNNNAAAAKKKE!? 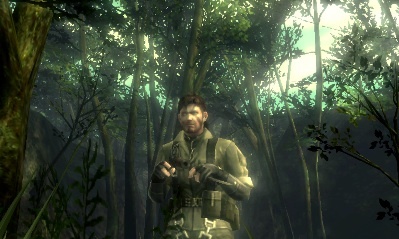 Naked Snake infiltrates a Soviet controlled jungle in Konami's port of the critically-acclaimed and award-winning PS2 title, but you can expect a bunch of new stuff on top of the gripping story and neck snapping gameplay. 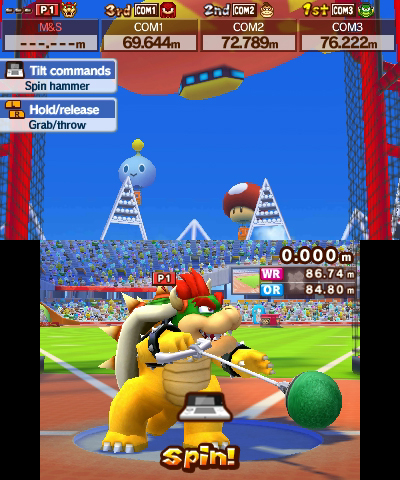 Gyroscope support lets you tilt the 3DS to help Snake balance on beams, while a camo mode works in tandem with the system's camera, as you snap photos and pictures to create camouflage. Could very well be the game of the month.